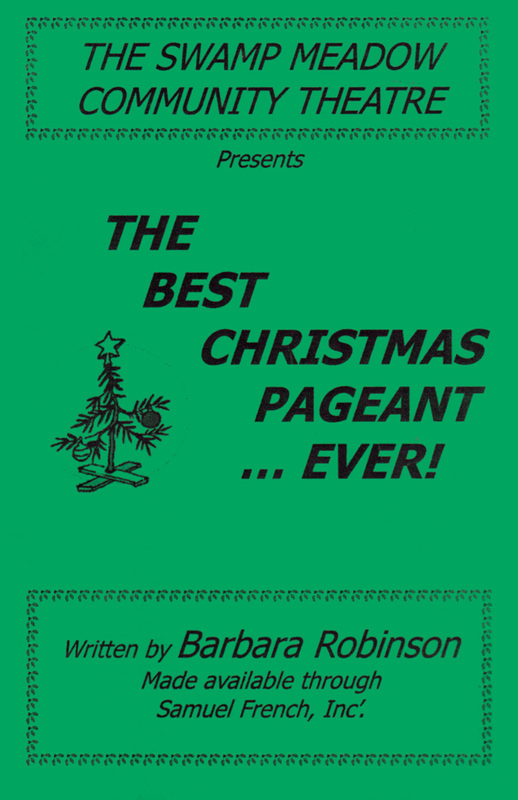 In the Fall of 2003 Swamp Meadow Community Theatre performed The Best Christmas Pageant Ever by Barbara Robinson.The production included a cast mostly made up of children, ages four to sixteen. 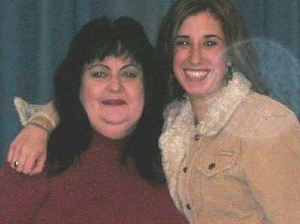 Jennifer Shortall, then of Foster, RI, played the starring role of Mrs. Grace Bradley, with Amy Hollis and Alexa Roy in lead supporting roles. 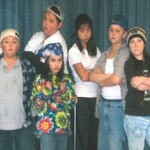 The Best Christmas Pageant Ever was directed by Meghan McCormick and produced by Bob Hollis. The production was performed on November 29th and 30th and December 5th, 6th and 7th at the Capt. Isaac Paine School in Foster, RI. 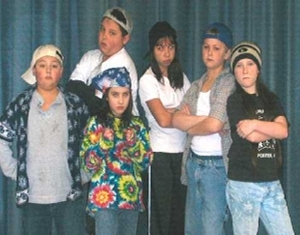 Phil Colasante, Alexa Roy, Giovanni Colasante, Peter Cashman, Dacia Cruz, and Heron Kennedy as The Herdmans in The Best Christmas Pageant Ever. 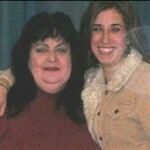 The Best Christmas Pageant Ever Directing Team: Mary Jehu and Meghan McCormick.